Kilner have been making durable and high quality glass jars and bottles since 1842. Made in England. Non - toxic and BPA free. 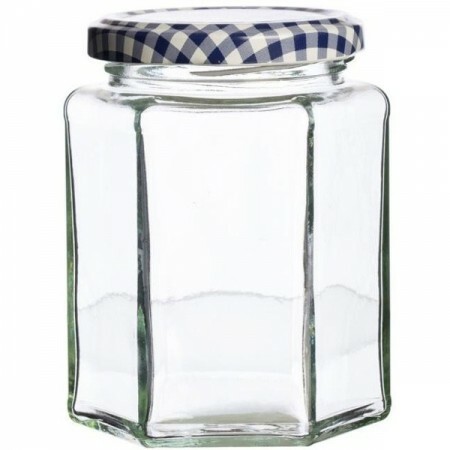 Twist top preserve jar with hexagonal shape and blue pattern lid. 280ml. 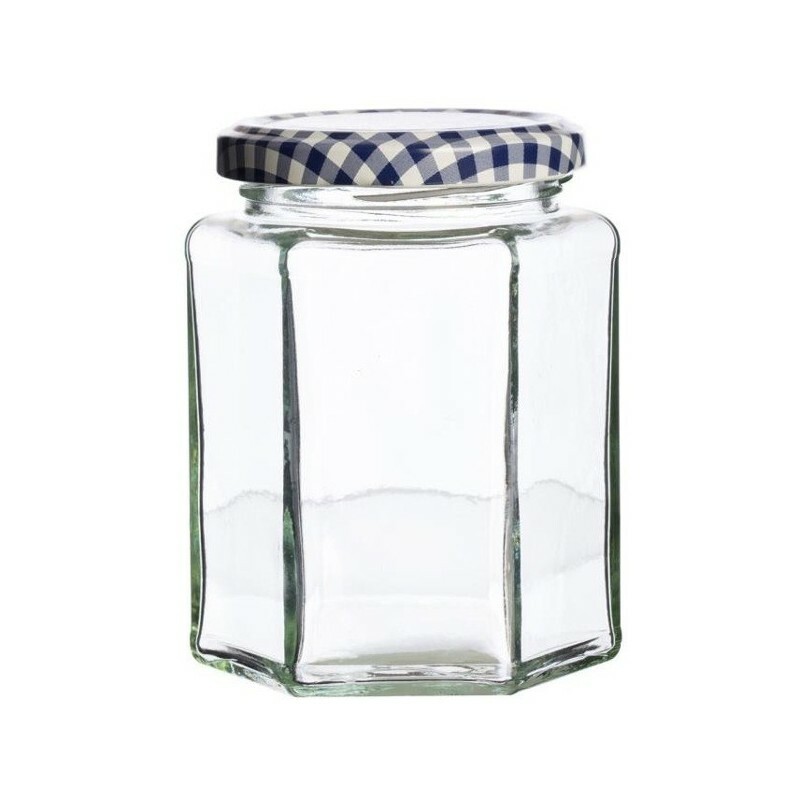 This is a good sturdy jar and the lid is interchangeable with a lot of supermarket-product jars. I personally found the hexagonal shape more annoying that useful, but it adds to the aesthetics.